Thomas Henry Huxley (1825-1895), British biologist. Huxley studied medicine and surgery, and joined the Royal Navy where he worked on plankton. Huxley became best known as a popularizer of science, notably Darwin's theory of evolution. 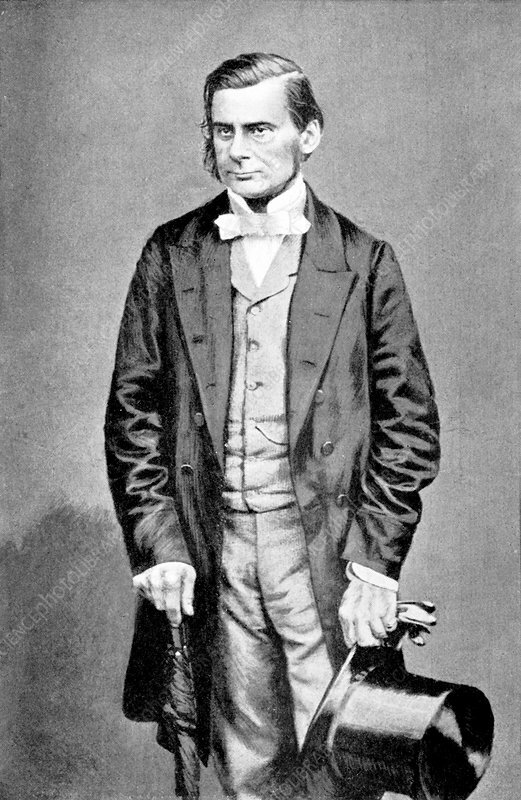 In 1860 Huxley presented Darwin's theory at a meeting of the British Association for the Advancement of Science at Oxford, where he faced his opponent Bishop Samuel Wilberforce. Huxley won the day. Huxley invented the word 'agnostic' to describe his religious beliefs. Photographed in 1860 at the meeting where Huxley presented Darwin's work. Huxley would come to be known as Darwin's Bulldog for his advocacy of Darwin's theory of evolution.